Two fun and fundraising events for St Ives Jumbo Association. Saturday 25th February 2017 - from 7.00 pm. 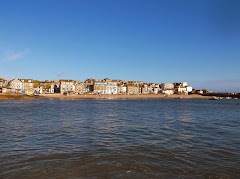 St Ives Harbour Pool Club. 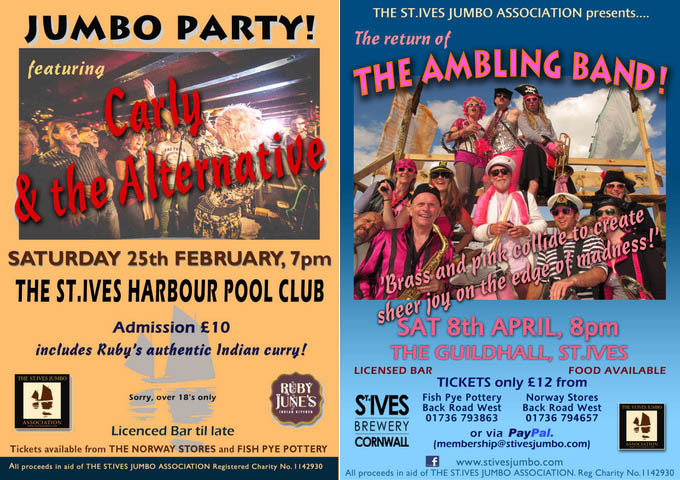 Annual Jumbo Party with local band 'Carly and the Alternative'. Admission includes Ruby June's wonderful Indian curry. Saturday 8th April 2017 - from 8.00 pm. The return of the amazing Ambling Band from Bristol who played a stonking gig for the Jumbo 5th anniversary. 'Brass and pink collide to create sheer joy on the edge of madness!'. Norway Stores or Fish Pye Pottery on Back Road. You can save yourself £2.00 by getting tickets to BOTH events now for only £20.00!